You will now need to login to use the maintenance contact form. Tyee Co-op Promotes a Better World! We are all in this together! Tyee Housing Co-op was started in 1983 to provide affordable housing for low to moderate-income families. Tyee is composed of 75 homes: a mix of two, three and four-bedroom townhouse style homes. Our vision is based on our core values of Respect, Cooperation, Accountability, Participation, and Fairness, is to provide safe, affordable, sustainable housing for our diverse community. Our Co-op functions through "Co-operative spirit" and involvement from the Members on the following committees: Board of Directors, Finance, Membership, Maintenance, Gardening, Recycling and Parking. Thanks to this participation, responsibility and good neighbouring amongst the Members, we have been able to sustain affordable housing at a prime location in Victoria. 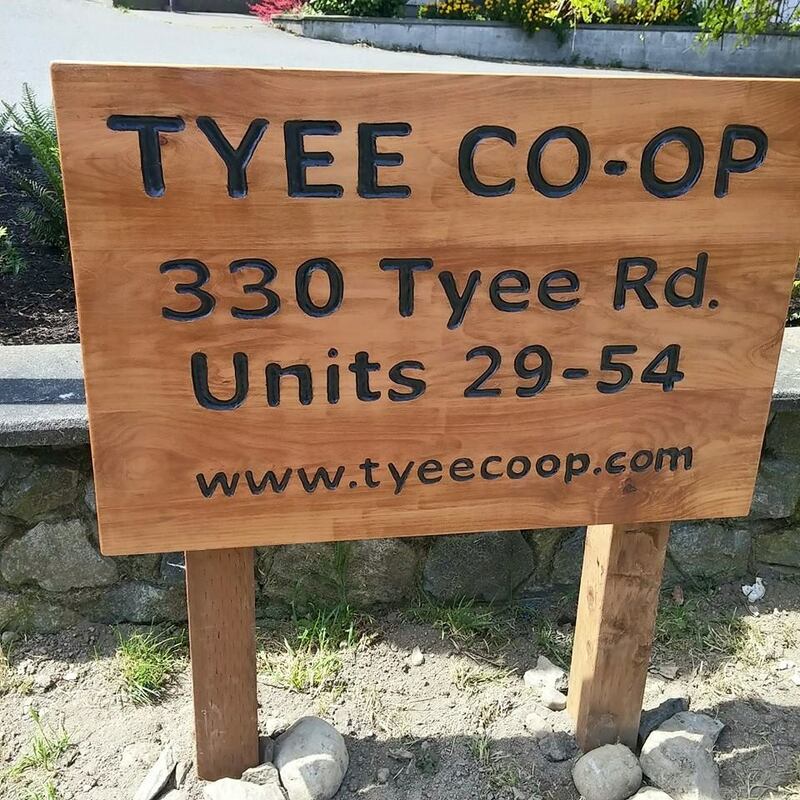 One of the principles established when the Tyee Co-operative came into existence was the belief that the Co-op should not be a form of rental-housing. Instead, it is a kind of home ownership, providing many benefits to the Members, but at the same time also requiring certain commitments from those Members. This commitment comes in the form of participation which makes our Community viable, safe and a fun place to live. 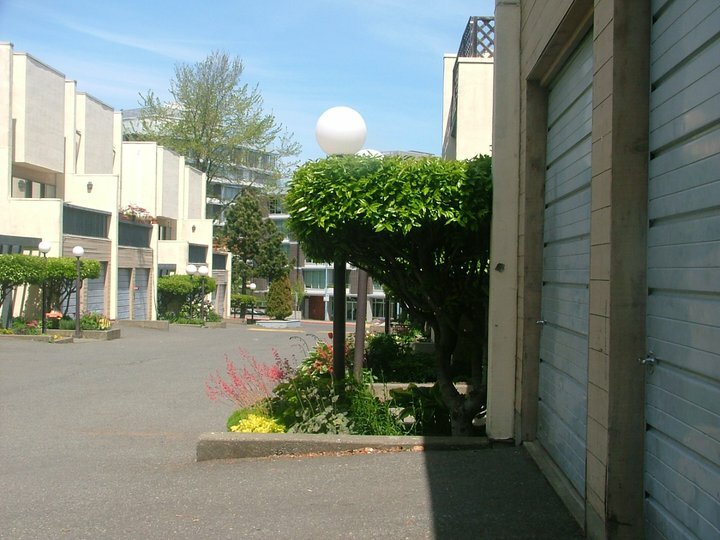 Tyee Co-op is located in Victoria West, which occupies a peninsula bounded by the scenic Gorge/Selkirk waterway, the Inner Harbour and the Eastern border of Esquimalt. With the development of Westside Village and the continuing development of the Songhees lands, Vic West offers its residents quality retail, traditional residential and multi-family housing as well as scenic water-front walkways. Tyee Housing Co-operative consists of 75 two-bedroom, three-bedroom and four-bedroom townhouse style units, a few of the pet-friendly bedroom units are wheelchair accessible. We are a multigenerational, financially-diverse community, committed to pet-friendly sustainable housing in the downtown core. Units contain a fridge and stove, washer and dryer hookups and most have an enclosed garage. The units and hot water tanks are heated by electricity. Water is included in the housing charge however, members are responsible for paying hydro, telephone and cable. People wishing to obtain membership at Tyee Co-op must purchase shares amounting to $3,500 and provide proof of household insurance with a minimum $1,000,000 personal liability. All of our housing co-operative members volunteer their time to ensure housing remains affordable. Multiple income levels are welcome. We currently do not have any upcoming vacancies. Looking for other co-op vacancies? View listings for Vancouver Island housing co-ops. Co-ops are owned by their members. Co-op Housing is people coming together to provide housing for themselves. Since home ownership is becoming increasingly difficult to achieve, co-operatives offer a means of acquiring affordable housing. Tyee is a "continuing" housing co-operative, which means members jointly own their multiple family housing and individually lease their units to themselves at cost. Open membership, democratic member control, economic participation, independence, co-operative education, cooperation with other co-operatives, and community. The Tyee Co-op website is a hub for co-op information. Including an member's only community calendar, forums, board minutes and the online maintenance order form.